"Ashes to Ashes, Dust to Dust, if Root don't get ya, then Moeen must" to paraphrase a famous 70's banner but England went one nil up in the series thanks to the spin twins. Cook outhought Michael Clarke from start to finish in this Cardiff test, as the undercooked Aussies had a warm welcome in this hillsides from a partisan crowd. Some from New South Wales probably can't wait to leave South Wales, as England sent out a message. It might not avenge for the horror of THAT tour, but by god it was sweet. Here we review the fantastic first Test match from Cardiff, and trust me, it's not as bad as a Shane Watson lbw review. Firstly, England utilised their home advantage by preparing a pitch that didn't bounce too much. The critics jeered, but the Aussies hardly prepare a featherbed in Perth for us now do they? I thought it was a good pitch. Yes a bit slow at times, but runs were scored at around four an over throughout and there was something in it for the bowlers. England went in unchanged meaning no room for Finn or Rashid, whilst the Baggy Greens kept faith with Shane Watson despite the claims of the up and coming Mitchell Marsh. Shane Ritchie wouldn't have kept the crowd so entertained as our mate Watto. It would be interesting to see how English batters coped with the trinity of Johnson, Starc and Hazlewood? At 43-3 on the first morning most of us would have been thinking deja vu, although Ian Bell's innings was more merde, and when he had a huge swing for his solitary run in the first knock it made many of us scream, "zut alors". They played through rain and at one point I thought Marais Erasmus had taken the wrong turn from a wet t shirt competition as his 34DD's bounced in typically Welsh weather.Then came the defining moment of the match as Brad Haddin dropped Joe Root when he was on 0. The man from Sheffield went on to score 134, leaving a cricketing deficit for the Aussie keeper that something that even the Greek Finance Minister would baulk at. The star of the last series over there, was certainly more Homer than Awayer if we are talking Greeks.This may be one chapter of the Iliad too far for Brad. Ballance kept Root company as the Aussies targeted his rib cage. Perhaps their homework coach had seen something in the photos of Gary jigging around a table top in Nottingham last year? Even when the Sheffield starlet was out, the tail wagged with Stokes and Ali both weighing in with fifties as England posted 430. Hazlewood bowled well, and has a lovely action, Starc picked up five although the difference between his white ball and red ball bowling was erm...stark, as he bowled well sporadically. Johnson, the pantomime villain who actually took it well went for 0-111 off 25 overs, doffing his cap when he was applauded by the home crowd for reaching his century, and Lyon bowled tidily. For those from Down Under, Rogers was the mainstay at the top of the order but Clarke and Smith played shots that were endemic of over confidence. Smith's was a strange shot, toppling over like a local who had over indulged on the Brains SA, and hardly befitting the number one batsman in the world. Voges mistimed one and then we had Shane. Good old Shane. How did we know he was going to plant his leg down the line of the ball and then review it? You hardly had to be Doris Stokes or even Ben Stokes for that matter to know what was going to happen. Watto is always good for wasting a review. On the last tour, there were some reviews I hadn't seen so bad since Barry Norman critiqued Twins with Danny De Vito and Arnie in Film 88! The Aussies ended up 308 all out, a huge deficit on a pitch that always kept the bowlers interested. When England came out for the second dig, Bell needed a score to keep him in the side and he showed cojones with a sixty. Root did the same, although some wickets were thrown away with over confidence. Lyon took full advantage to pick up four wickets. Johnson was expensive, and didn't bowl that badly but the Cardiff cricketing choir in full voice, let him know at regular intervals that his bowling isn't very straight. Haddin took the symbol of the leek to heart, as he leaked a total of 24 byes in the match. England set their foes 412, a massive ask on a pitch that was wearing. The Aussies looked strong at one point with Smith and Warner at 97-1, but Broad and Wood, touching 93mph at times came to the rescue. Despite a lively 77 from Mitch and yet another Watson review, the rest was elementary for England as they won by 169 runs with a day to spare. Tactically England were excellent posting short covers and thinking on their feet. 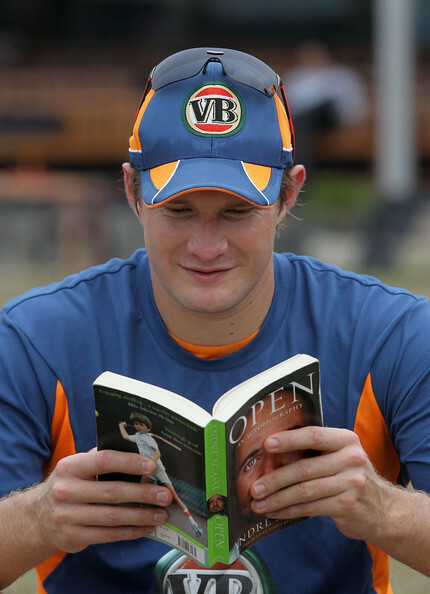 I didn't think Alastair would out do Michael Clarke on that front. England used the conditions better, and their batting, bowling and crucially their catching were superior. It was an intriguing and entertaining Test match with a bit in it for batsman and bowler. 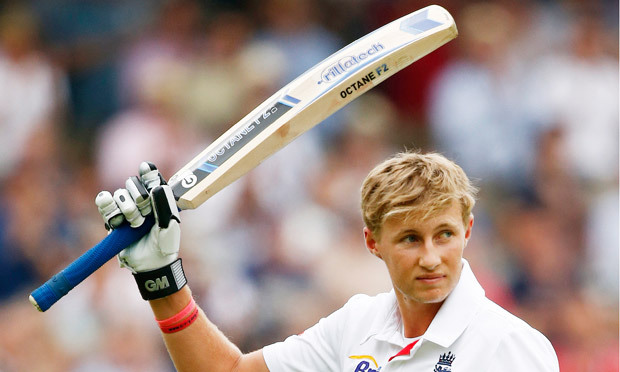 The Aussies can take some positives but I am wondering if we will see Watson or Haddin at Lord's? Both had poor games, whilst Starc isn't fully fit despite his wickets here. With Ryan Harris about to trouble Englishmen as often as his namesake Rolf this summer, the Aussies have pace bowling problems. Cummins has been flown in, and Jackson Bird, John Hastings and Michael Hogan are all over here playing county cricket. There is nothing as dangerous in sport as a wounded Aussie though so beware England. Onwards the show moves to Lord's, and a pitch that may suit them a lot more than Cardiff. For now, we will bask in the glory and the nightmare of Australia in 2013/14, seems just a bad dream. First blood to the English.